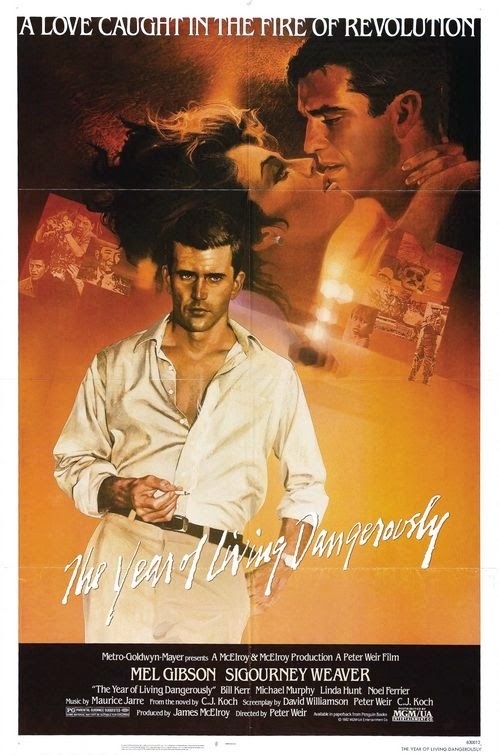 When the Year of Living Dangerously was released, it made quite an impact on me. I’ve always enjoyed smart political and newsroom dramas (films like Three Days of the Condor, All the President’s Men, and Shattered Glass come to mind). Adding to the appeal of this film was its exotic locale, Indonesia. Based on the novel of the same name, the film follows a green but ambitious Australian journalist named Guy Hamilton on his first overseas assignment in the early 1960s. Set against the backdrop of real-life historical events, the country of Indonesia is on the verge of Civil War, as Communists threaten to topple a government that is dominated by the military and Islamists. On the surface, the film is somewhat in the same category as Casablanca—a love story mixed with foreign intrigue, where a journalist must choose between his ambition to break a big news story and his love for a British embassy worker/undercover intelligence agent (Weaver). 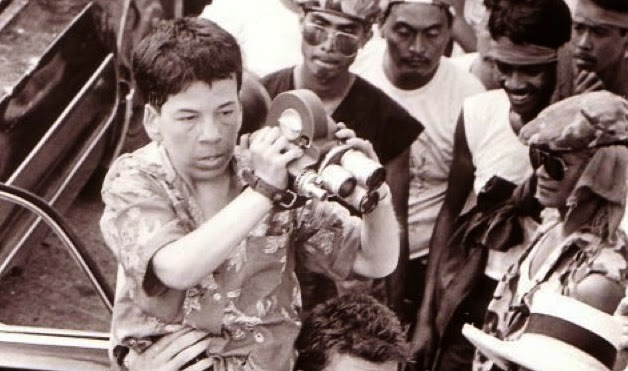 But this being a Peter Weir film, the addition of Hunt’s character—as a half Asian-half European dwarf—and the backdrop of Indonesia lends the film an otherworldly “magic realist” quality that is greatly accentuated by the film’s score by Greek composer Vangelis (who also scored Blade Runner). As I mentioned up front, this movie greatly influenced me. As anyone familiar with my work on Rob Hanes Adventures knows, stories of foreign intrigue set in exotic locales are a favorite genre of mine. 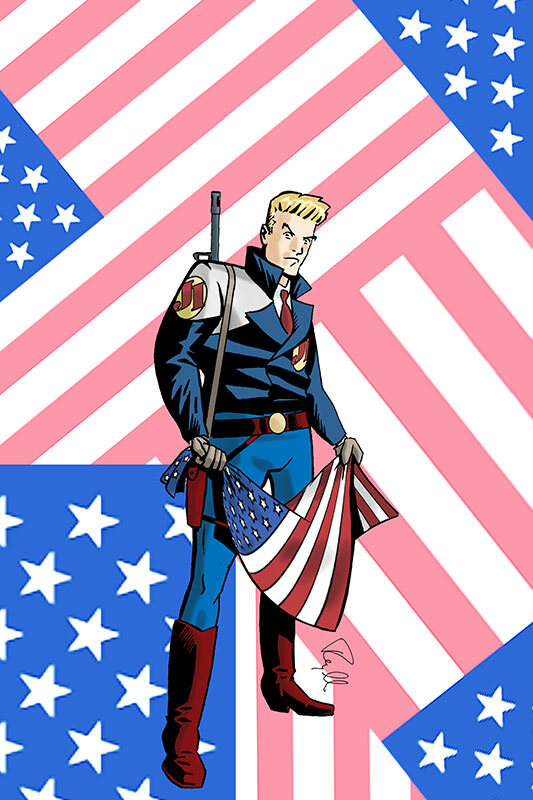 In fact, one of my earliest stories–”The Assassin”—which appears in the Rob Hanes Archives trade paperback collection of the series’ early zine adventures—was very much influenced by this story, partly in its ambiance and particularly in the “protagonist” of the story, Jacoby, who was based somewhat on Gibson’s appearance in the Year of Living Dangerously. A few other tidbits: when I first watched the film, I was surprised that I understood some of the "Indonesian" spoken in the film. I was aware the movie was mostly filmed in the Philippines, where my parents are from, but assumed they were speaking Indonesian. (Many of the Indonesian roles are played by Filipino actors.) It turns out, of course, that the characters are simply speaking their natural Filipino dialects, most likely Tagalog. In addition, after I saw the movie, I was anxious to read the book. Surprisingly, at the time, the book was no longer in print in the U.S. As a result, since this was well before the Internet (let alone Amazon), I was left with ordering the book from overseas and having to get a cashier's check in Australian dollars that also covered a postage fee that was was more than the price of the standard paperback book I was ordering. Nevertheless, I ordered the book and enjoyed it, so never regretted the outlay of money and effort it took to get it. It's still a valued part of my home library. This film was one of the first I purchased on VHS and in widescreen format. The film only relatively recently has been finally made available on DVD in widescreen format.